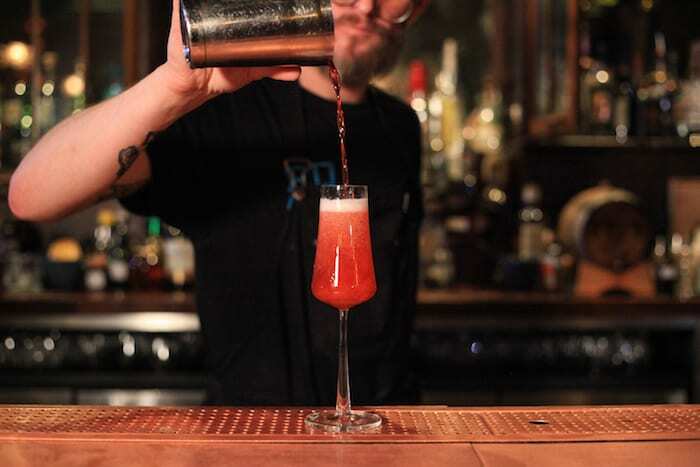 "Guests don’t need to know how much you know – they just need to benefit from it"
Some say that if you want to test your bartender you should order a daiquiri. 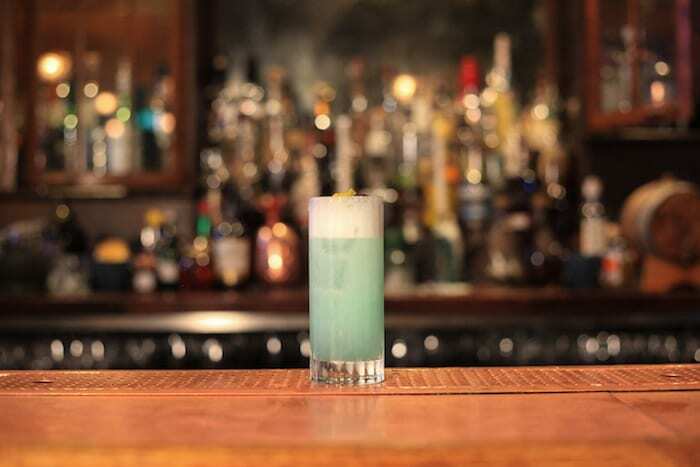 One of the most difficult sour drinks to get right due to its simplicity, a true daiquiri is defined by the quality of the ingredients that go into it – and the skill with which your bartender can balance them. Simply put: if a mistake is made, there is nowhere to hide it. It makes complete sense, then, that it should feature on Science + Industry’s new menu – aptly titled The Science of Simplicity. Of course, we had to try it – and rest assured, it’s a far cry from the cloying, sugary-sweet rum slushies you might remember from a beach resort holiday gone by. Instead, everything is just as it should be: clean tasting light rum, a distinct (but not unpleasant) lime-y sourness and – most importantly – a refreshing, dry finish. That being said, we fully acknowledge that one daiquiri does not a drinks menu make. Which is why we went in to try a whole bunch of them. A bar-within-a-bar, when Science + Industry first opened back in 2014 it was predominantly frequented by bartenders – what some might call a “real bartenders bar”. 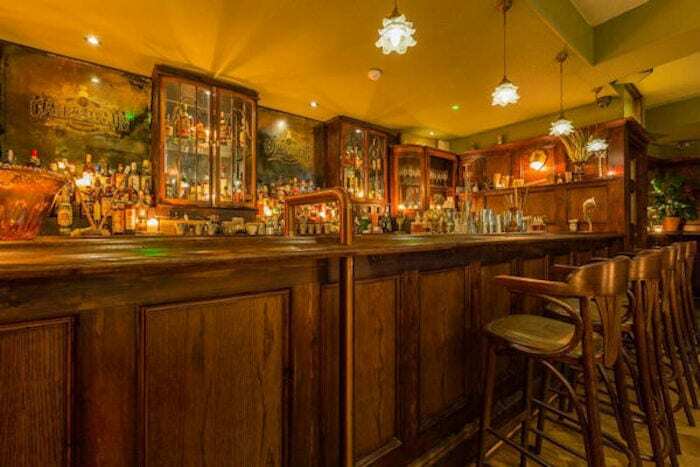 Hidden behind a wall of wine crates and accessed via a secret staircase, it has always been a popular drinking spot for hospitality staff in the know – with many taking the opportunity to pick the brains of its knowledgeable team whilst enjoying a post-work tipple over the years. 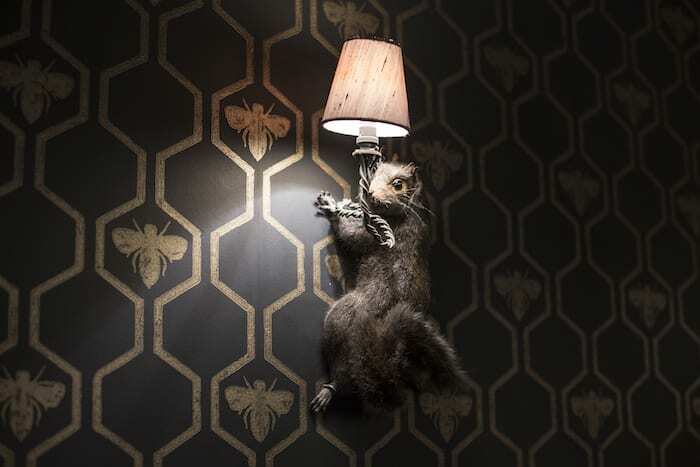 The bar’s prohibition speakeasy vibe reminds us in many ways of the iconic New York cocktail spot Please Don’t Tell – which you enter through a phone booth tucked into the corner of understated East Village hotdog and tater tot joint Criff Dogs. Aside from its concealed entrance (which we’ll admit isn’t quite so novel these days) there’s also a strict booking-only table service policy, an ominous spattering of taxidermy on the walls, and the option to order oh-so-pleasant greasy American fast food from adjoining bar Cane and Grain to soak up those refined cocktails. The appeal behind this new menu lies in the fact that Science + Industry is only offering apparent simplicity – as opposed to drinks that fit the word in its true sense. “Guests don’t need to know how much you know – they just need to benefit from it,” explains Adam Wilson, head of menu development and drinks training across the Liars Group. What makes the bar unique is its hidden lab and kitchen, quietly tucked away just a few feet from your table behind a display of miniature bottles. On any given day you can bet that the team is busy behind the scenes harnessing the finer details of distillation, filtration, and crystallisation. “We create a lot of flavour using the lab,” Adam tells us. A lot of work goes into creating the drinks, and it shows. 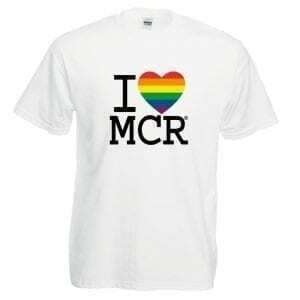 They’re a far cry from the party drinks that have become ubiquitous on Manchester’s cocktail scene. We start with a Pinot Colada, a refined and aromatic take on the usually cream-heavy Pina Colada. With a combination of clarified lime, aged white Takamaka Bay coconut rum, and a house-made coconut and pinot grigio syrup – just like the daiquiri, here another beach holiday favourite is transformed into something sleek and dangerously drinkable. With a knowing nod to the oft-repeated term ‘mother’s ruin’, next up is their gin-based drink Mom’s The Word. Here the team have classed up the ’70s blue disco drink with Berry Bros Gin (resurrected from a single vial of 1950s spirit found at No.3 St. James’ Street) and a lime leaf, fresh green cardamom, and rare Chinese gunpowder green tea syrup. Obligatory Blue Curaçao (blue orange liqueur, for the uninitiated) is, of course, present – as is gentian root aperitif Suze and a top of Sicilian lemon tonic, which provides a bitter yet refreshing finish. We also try the Girder Swizzle – a twist on a classic Caribbean rum cocktail. Here Irn Bru – it’s made in Scotland from girders, as the adverts used to tell us – is concentrated into a rich aromatic syrup that’s then combined with rum, mint, sugar, lime and soda. Sadly this one didn’t quite hit the spot for us, coming out a bit sickly sweet for our tastes. We ended up leaving it on the table to dilute for ten minutes before we could drink it. 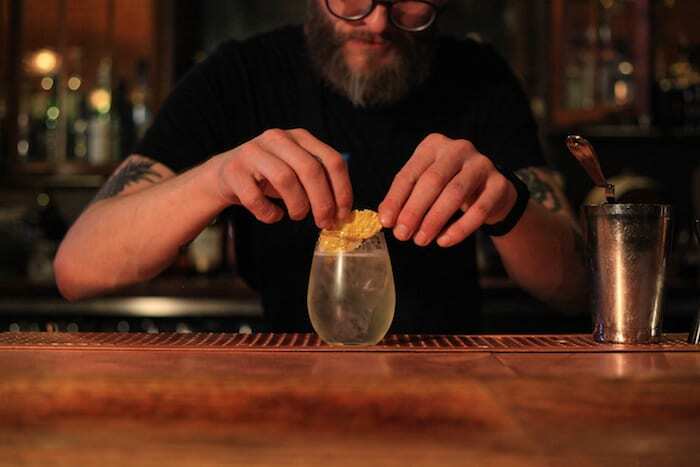 Swizzle aside, Science + Industry’s bar offering is without a doubt a cut above the rest. 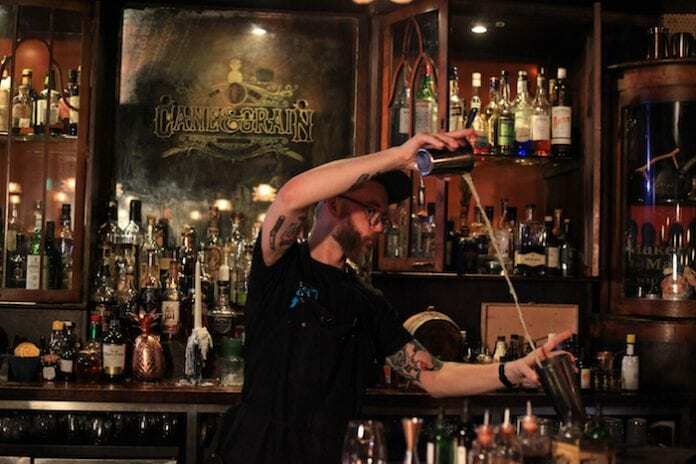 Not only are the drinks created to an exceptionally high standard – as evidenced by the sheer number of accolades they raked in in 2018 – there’s clearly a lot of love, thought and care being put in behind the scenes. 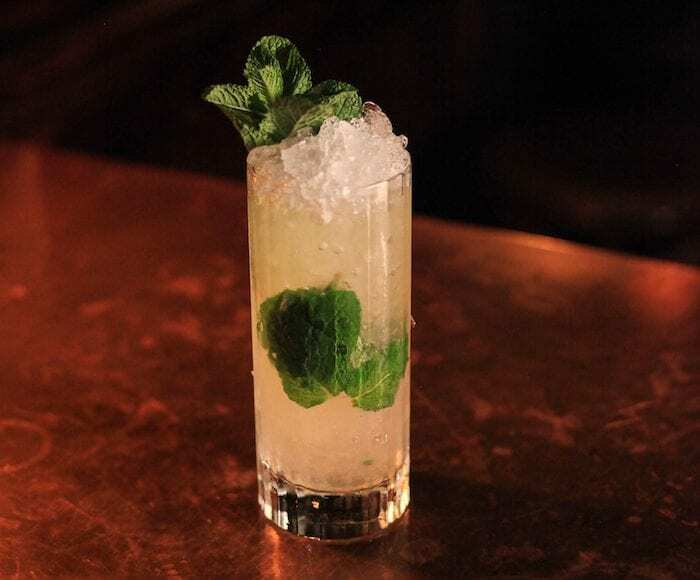 if you’re looking for an expertly-made drink dished up with spades of understated finesse – you should definitely make a beeline in their direction.